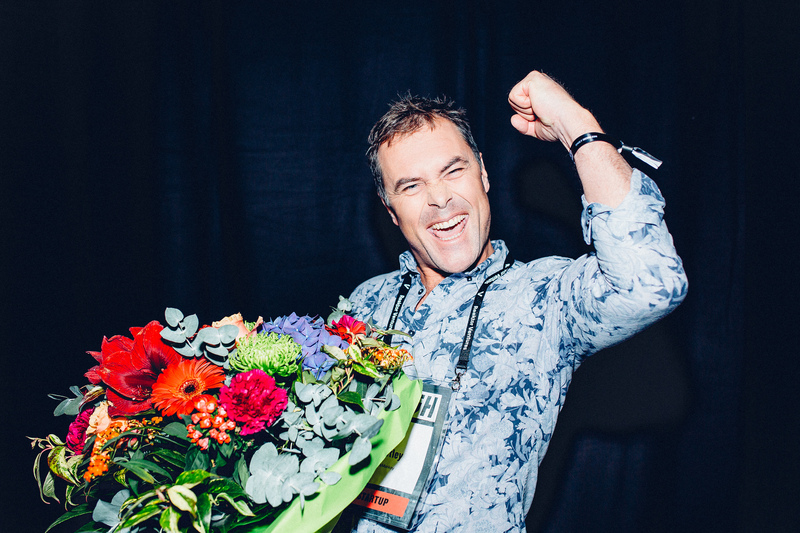 The Slush 100 pitching competition culminated in the finals held on the Silver Stage. After two days and three rounds of pitching, out of the best one hundred companies selected to the competition, Slush 100 now has a winner. Slush proudly presents that the winner of the Slush 100 pitching competition is CareMonkey, who is offered an equity investment prize of 650.000 euros arranged together with Evli Bank, FiBAN business angels and a group of private investors. CareMonkey from Australia, has a risk management system that automatically keeps medical and emergency data up to date and makes it instantly available on mobile devices. CareMonkey attended Slush Down Under in Melbourne in the spring, won the pitching competition and got tickets to Slush in Helsinki. “By supporting the Slush 100 pitching competition Evli Bank helps startup companies in improving their visibility and attracting new investors. It is great to support startups in an event like Slush”, comments Esa Pensala, Head of Wealth Management Services at Evli. In addition, PwC and Mäkitalo Rantanen & Co support the winner by providing their services to the value of 15.000 euros each. The selected 100 companies were chosen out of almost thousand applicants by international investors. CareMonkey made its way through the first two rounds, beating in the finals Astro Digital from USA, PlugSurfing from Germany and Velmenni from Estonia. The jury consisted of Ilkka Kivimäki, partner at Inventure, Fred Destin, partner at Accel Partners, Mike Chalfen, partner at Mosaic Ventures, Mattias Ljungman, partner at Atomico and Jaakko Salminen, Chairman of FiBAN. The investment offered to CareMonkey was the largest investment ever offered in a similar pitching contest. Last year’s winner Enbrite.ly landed a 500.000 euro equity investment, which was later negotiated up to 750.000 euros. The investment went through in May, and the company has since then become one of the hottest stars in the Hungarian startup scene. Only time will tell what the future holds for CareMonkey. Warm congratulations to CareMonkey once again!